Iran Welcomes Hackers Who Work For Islamic Republic ! An official with Iran’s Revolutionary Guard has said that Iran welcomes hackers who are willing to work for the Islamic Republic. “Regarding the cyber issue, we welcome the presence of those hackers who are willing to work for the goals of the Islamic Republic with good will and revolutionary activities,” said Brigadier General Gholamreza Jalali, adding that those hackers who he said are working against people will be dealt with. Jalali, who heads the country’s Passive Defense Organization, made the comments in an interview with “Bultannews,” a website said to be close to the Intelligence Ministry. Was Jalali trying to recruit new staff for the “Iranian Cyber Army” or for Iran’s newly launched cyber police? Or for a new entity called the “Cyber War Base “? Jalali said the "base" will be launched in the near future and will fight against cyber attacks. The Iranian Cyber Army has been responsible for hacking and bringing down a number of websites in recent months, including Farsi 1, which Iran has accused of being anti-Islamic. The possible links between the authorities and the Cyber Army are unclear, but a commander from Iran's Revolutionary Guard (IRGC) seemed to suggest last year that his organization was responsible for the hacker group. Ebrahim Jabbari, head of the Revolutionary Guard's Ali Ebn-e Abitaleb corps in Qom, said the IRGC had been successful in setting up the second-biggest cyber army in the world. Opposition websites, including the websites of opposition leader Mehdi Karrubi, often come under attack and are brought down on days when opposition members plan to rally. It’s not clear whether the Iranian government has been behind the attacks. 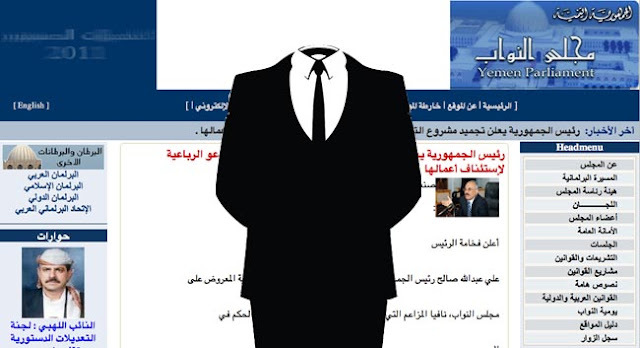 In recent weeks a number of Iran’s state-controlled websites and media were also attacked by “Anonymous,” a shadowy Internet collective who said they are fighting the regime’s Internet censorship and helping Iranian activists. Since the 2009 disputed presidential vote Iranian officials have increased their warnings about a "soft war” via the Internet. Jalali said last year that a “full-fledged soft war” had been launched against Iran by its enemies using modern tools such as the Internet. As an example he cited the Stuxnet virus, which he said was a move by the United States “to paralyze” the Bushehr nuclear plant. He admitted that the virus had hurt Iran without giving details because he said he didn’t want to please Iran’s enemies. Recent comments by Jalali and other Iranian officials show that the Islamic Republic is attempting to boost its defenses against cyber attacks and also put more effort into controlling the Internet, which remains a key tool for the opposition.